Many people are struggling when it comes to regular cleaning. If you are one of them, then why don’t you make the best decision and give us a call? We know how to make things right and we know how to meet the requirements of our clients. By booking our cleaning services you are making sure that you are hiring the best house cleaners. Our company is based in Southgate, N14, London and we operate mainly in this region. However, it will not be a problem to go to any other neighborhood, but you will have to call us a few days in advance. We administer a London based residential cleaning company that exists in the Southgate, N14 area inside the central part of the city. We are very serious about our residential cleaning services, so, we have employed the most punctual, reliable, hard-working, disciplined, loyal, local cleaners in our company. We offer a guarantee of hassle-free, superior house cleaning to our customers. Our full house cleaning package includes light household chores such as doing the laundry, drying, ironing, general house cleaning & maintenance, oven cleaning, exhaust hood cleaning, all-inclusive deep cleaning, once-off cleaning, post construction cleaning, window cleaning, garden maintenance, waste & rubbish removal etc. Finding suitable home cleaning services in Southgate, N14, London might be a really hard task, especially if you don’t know how to choose the right agency. 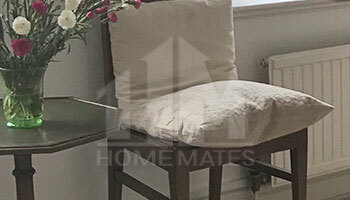 If you lack experience in the field of cleaning and you don’t feel like wasting a whole day trying to find the best company, then allow us to save you some trouble – we are agency working with house cleaners who are extremely dedicated and who know how to meet the requirements of even the most pretentious landlords. Trust us – we have never let down a single client of ours and we tend to keep up so. Being in the cleaning business for many years taught us to respect our customers and always put their needs before the profits. This is why we are the best agency you can find in Southgate, N14, London. As a matter of fact, we strongly recommend you to take a look at our feedback, which is 100% positive. And since we might not be available at the day you need us, we advice our clients to call us at least a few days in advance. Our house cleaners are fully vetted and have insurance – they are highly motivated to deal with the situation and make your home a better place for living.